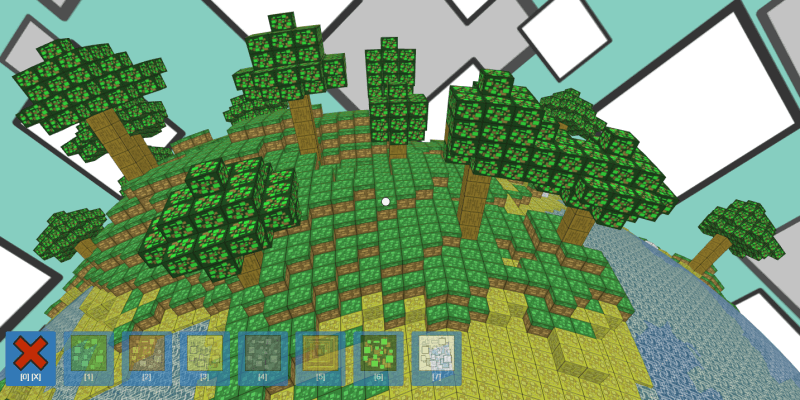 In this Minecraft-like game project, you can build a spherical planet using cubes. But unlike Minecraft, Planet Builder uses cubes that must be just a teeny bit convex on one side, and have non-90 degree angles. Otherwise they won’t fit together and form a sphere. Right? Players can choose from among 7 types of blocks, including rocks, leaves, and wood. The planet has bodies of water, but these cannot be mined. You can swim underwater though, and mine and build structures there. Click here to try the game or visit the game’s github repository.